So says Adrian Ash (www.BullionVault.com)in edited excerpts from his original article*. 1. US Dollar precious metals prices from the LBMA, periods ending 12/30/2011. 2. Fund count by BullionVault, using Lipper data via WSJ Online. Both silver and gold bullion sit within the top 0.2% of US mutual funds over the last 10, 5 and 3 years. No guarantee that performance will continue, of course, but you might want to ask your favorite mutual-fund manager what he or she is planning to do in 2013 to beat a lump of dumb metal. 5. 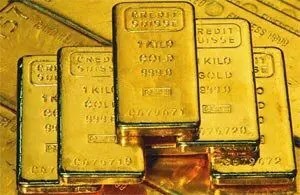 Richard Russell: PLEASE MOVE INTO GOLD! Next True Money Supply Is Already Hyperinflationary! What's Next?